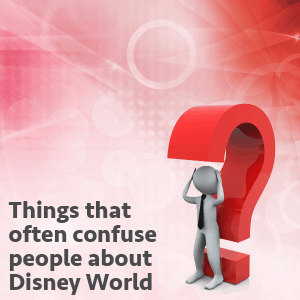 I've been making notes about several things that seem to confuse people and will help clarify those for you today. I also have recent news and a quick tip of the day. The Facebook post I read for my daughter's birthday. Touring plans have been updated for 2016, as well as Disney Dining Plan info. FastPass+ tiers. You can see the current tiers in the chart at the bottom of this page. FastPass+ return time vs. ride duration. You can arrive at any time during your FastPass+ return time (and also 5 minutes early or 15 minutes late), but rides don't last an hour. Resort Airline Check-in Desk vs. Magical Express. You don't have to be using Magical Express to use the airline check-in desk at your Disney resort. More info in my Magical Express post. Free Dining availability. Free Dining is almost always a fall promotion and has limited availability when it is offered. More info in my Disney Dining Plan post. UberFAMILY is coming to Orlando. No date has been announced. Here's how that works. Star Wars Land announcements will be made by Harrison Ford on the Wonderful World of Disney special airing February 21 from 8-10 p.m. EST on ABC. Big Thunder Mountain Railroad will be closed April 4-July 15, likely to install a new ending similar to the Disneyland version of the ride. Joy and Sadness are rumored to begin meeting at Character Spot in Epcot in February. I heard that Joy & Sadness were going to be at character spot in EPCOT but then it was reported by another planning site, that they won’t be. Can you confirm either way? I wanted to let parents know about something I found last fall that can help on the whole booster seat issue. This fall I found a product called Mifold. It’s a booster seat but yet not. While a traditional booster bring the child up to where the belts fir correctly, this one bring the belt down into position, making it much more compact. It will fold so it’s about the size of an ipad mini. ( a bit longer and thicker.) We will be able to stow these in the carry ones with taking up much room, and have them accessible when we get to Orlando. I have a small 9 year old. She isn’t even 50 pounds yet and she HATES that I still make her use the booster. She can’t wait to get her hands on it. I didn’t order in time to get into the first shipment for delivery in March, because I wanted to read more on the US safety reports. But so far everything I have found looks good. We are just now eagerly awaiting the May delivery of ours. Would love for you do a podcast on trip planning for siblings very far apart in age. 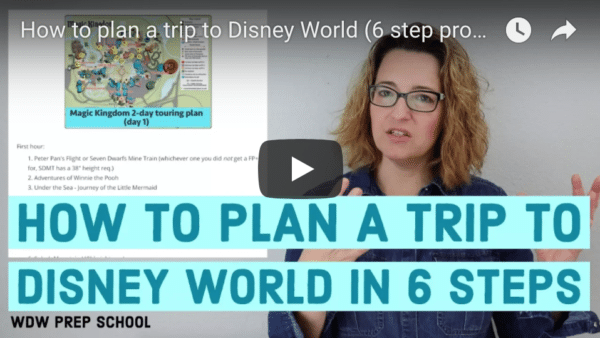 You have great trip plans for toddlers, big kids, and teens. So a blended trip plan for siblings at very different stages would be awesome. For instance we took our 6 year old as only child but the next time we go, we will probably have a 2 year old and a 10 year old. Ideas on how to make everyone happy other than just splitting up? Its no fun to be seperated the entire time! I have traveled to Disney multiple times and our children span greatly in age. On our last trip our children were 16, 13, 10, 7, 5, 4, and 2. We never split up at all except when my husband stayed for EMH and I took the little kids back to the hotel for bed. You just need to vary what you d0 – something for the little ones and something for the big ones. We didn’t allow separation and all were happy. If my 3 1/2 year old wants to meet a character and we use a fast pass do I get a fast pass reservation for all 3 of us (mom, dad, son) or just my 3 yr old? Also do characters sign their autograph books at the character dining events? I’m pretty sure that you are supposed to get fastpasses for whomever is going in for the meet and greet, including yourself. They “probably” would let you go in if it was just your child that had one, but we had to scan our bands as well when we went in with our child. Now, if you husband wants to do another ride (or vice versa) during the same time, you can. You don’t all have to share the same fast passes. And, yes they sign at character meals if you wish. Every person who gets in line to see a character needs a fastpass (unless they are under 3 years old). And yes – if a character is able to sign they will sign at character dining.